The American Health Council has warmly welcomed Dr. Jennifer Lynch, MD, to its prestigious Physician Board. Working in the healthcare industry for over 20 years, Jennifer has been recognized for her outstanding achievements as a physician. Beginning her academic accomplishments in medicine in 1990, Dr. Lynch attained her BS from the Kansas State University. Her education continued to progress and she obtained her MD at the University of Kansas School of Medicine in 1995, where she also completed her internship in 1997. Dr. Lynch began to put her knowledge into practice in 2000 where she completed her residency at the Baylor College of Medicine and stayed on to achieve her Fellowship in 2002. To advance in her career further, Dr. Lynch also became Board Certified in Neurology and Sleep Medicine. Dr. Lynch has spent 11 years in her current role as Physician at Cox Health Hospital. Since 1906, Cox Health has morphed into a successful not-for-profit health system catering to many people in the Southwest Missouri area. Currently, there are a total of five hospitals that make up the Cox Health system offering services from clinics, walk-in-centre, urgent care, four emergency rooms, and a level 1 trauma center. Cox Health prides itself in the continual improvement of technology and resources in order to become the region’s healthcare leader. With over 10,000 employees, patients know they are receiving the best possible care by a team of individuals who collaborate with top of the line researchers that are concerned with their quality of care. Dr. Lynch was first introduced into her profession at a young age having been recruited into a neurotoxicology lab. It was her experience here that sparked the interest in neurology and sleep disorders. Dr. Lynch attributes her own success to her curious nature and a determination to help people. Holding her time with Cox Health in high esteem, Dr. Lynch has also had the opportunity to be invited as a Featured Speaker for the State Sleep Society. Dr Lynch also had the privilege of being awarded the Meaningful Use Stage 1 Certification of the United States Federal Government’s Meaningful Use Incentive Program and was featured in the Centers for Medicare & Medicaid Services, 2012 edition. 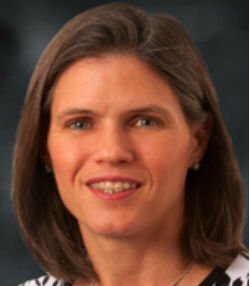 Keen to learn and build on her knowledge, Dr. Lynch is involved with a number of Professional Associations including the MS Society, Neuro Sleep Society, American Epilepsy Society, American Academy of Neurologists, Citizens Memorial Hospital, Cox Medical Center North and Cox Medical Center South. Throughout her career and among her plethora of achievements, Dr. Lynch is particularly proud of her time spent on clinical trials for stroke patients. In the future, Dr. Lynch wishes to continue sharing her expertise through educating forthcoming students whilst continually embracing the ever-changing advances in the healthcare field. When not busy working, Dr. Lynch is proud to be involved with the ADA and the Ferrell Duncan Clinic Foundation, and finds contributing to both causes extremely rewarding. Currently, there are a total of five hospitals that make up the Cox Health system offering services from clinics, walk-in-care, urgent care, four emergency rooms, and a Level 1 trauma center. Cox Health prides itself in the continual improvement of technology and resources in order become the region’s healthcare leader.